For a safe online once-off or monthly donations on the Back-a-Buddy website, you can use credit card, Paypal or EFT, from anywhere in the world. You can make a general donation to Nemato or donate to a Nemato project. Donate on Back-a-Buddy. Having a birthday party, running a marathon, any other special event? With or without an event, start a fundraiser on Back-a-Buddy. Become a Nemato Change a Life Champion and ask your friends, colleagues and family to donate. 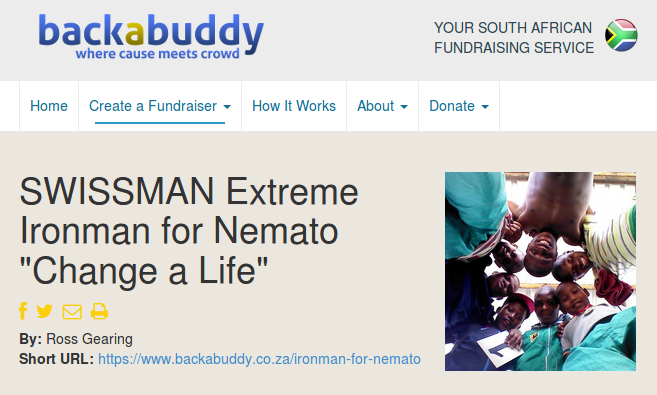 Become a Back-a-Buddy Champion to fundraise for Nemato. 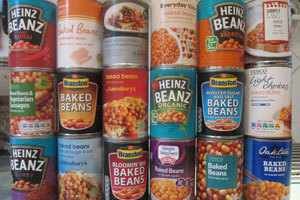 Is there anything on our shopping list that you can help us with? You are most welcome to drop it of at our place (new or second hand in good condition), or donate us money and inform us for what it is. Feel free to offer us anything in good working condition, that you don't need anymore, but we have limited space, so we might not be able to accept every offer, or donate it to a deserving member, or sell it to generate income. Job shadowing to test a career choice. Gaining skills by volunteering on a job. Maybe your business product of service could be most helpful for us: anything for toilet paper to database development. We happily help you with a BEE of tax certificate in return. You are always welcome as volunteer, no matter if you want to come for a few hours or for half a year. 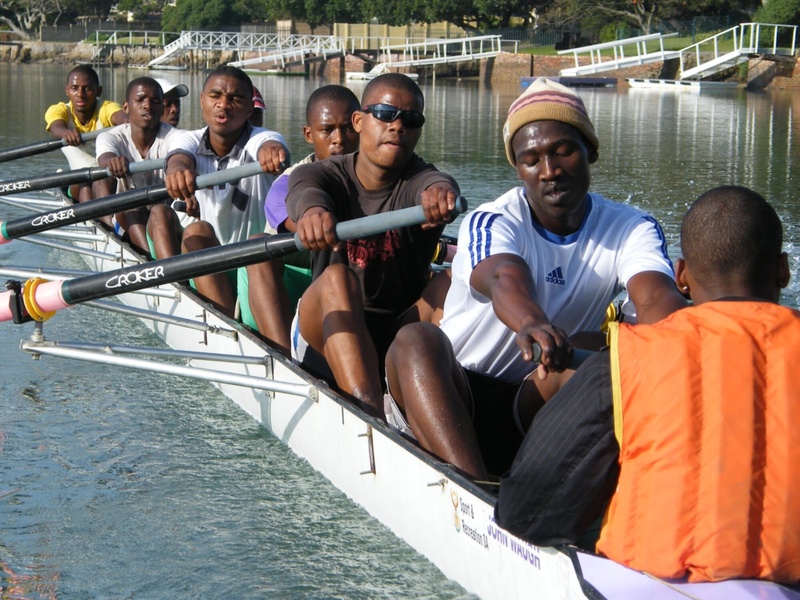 The long term volunteers participate in all aspects of the running of Nemato Change a Life. The short term volunteers help in the field they are interested in, like teaching in our maths class, coaching one of our sports or the maintenance and building of our skate ramps. 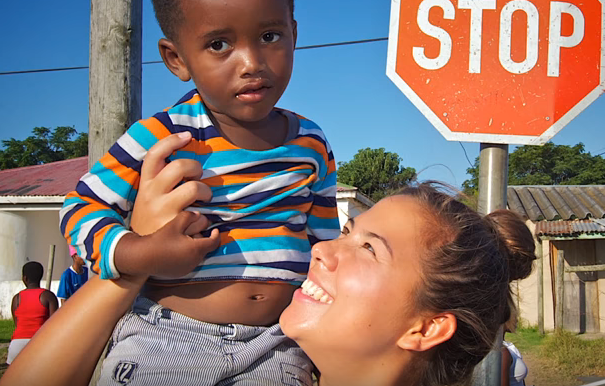 Watch YouTube about volunteering at Nemato. We are always looking for sponsors and funding organisation which can help us with the funding of our youth empowerment programme and our sports. 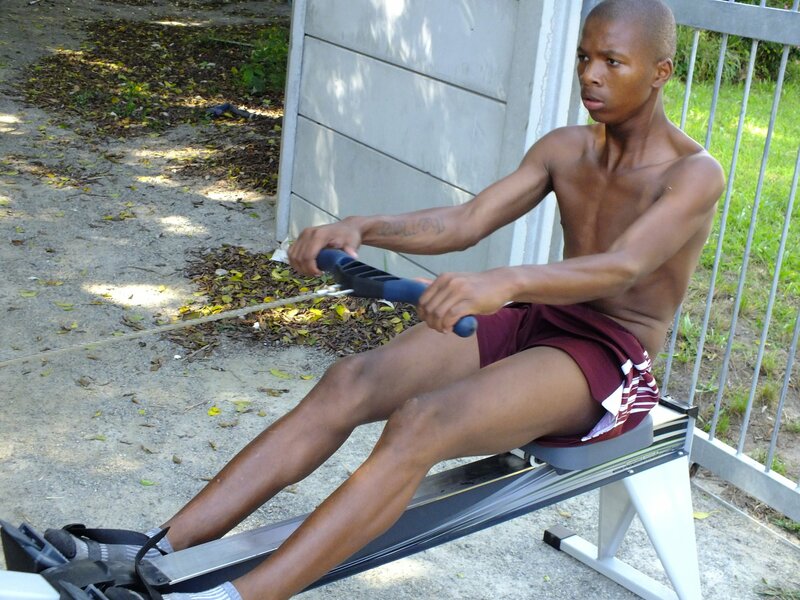 For our Nemato Sports Park & Trampoline Academy we need large scale funding. Do you know any organisation or company that might be able to help? Please get in contact with us! 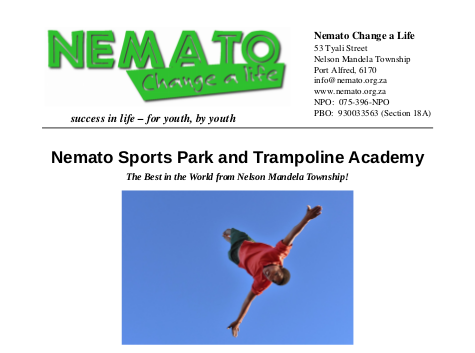 Download the Nemato Sports Park & Trampoline Academy concept document. 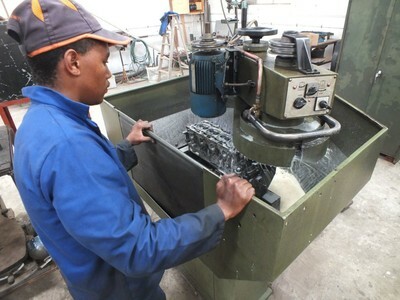 You can contact us on info@nemato.org.za. 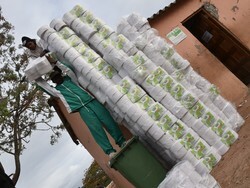 on request we will send you a certificate for tax deduction in South Africa of your donation.